Large traditional Chanukah Menorah uses Candles or oil. 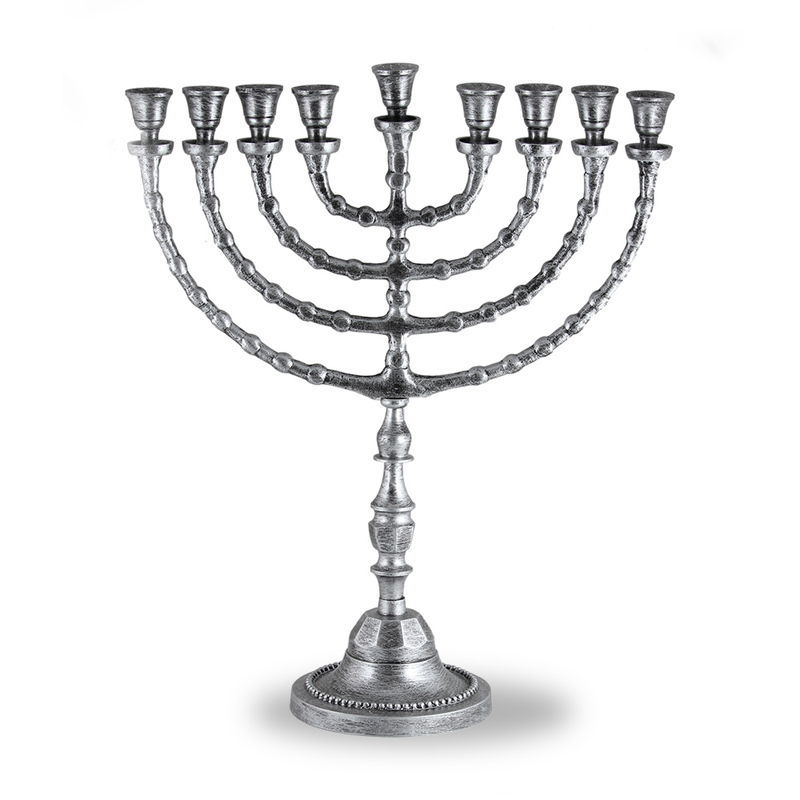 This Menorah has been designed and sized with the specific intension of fitting Shabbat candles or prefilled oil cups, both options will fit well without the need of any extra support of rubbers etc. A very authentic traditional design with a wide base.